TOKYO (Sputnik) - North and South Korea have fully restored their military communication line, which includes a telephone and fax machine, as part of the two states' efforts to boost bilateral ties, as agreed at an inter-Korean summit in April, the South Korean Defense Ministry said on Wednesday. According to the ministry, the eastern communication line that was completely severed in wildfires in 2010 has been restored. The communication line on the west coast was restored on July 16. South Korean President Moon Jae-in and North Korean leader Kim Jong-un met for the historic summit on April 27. 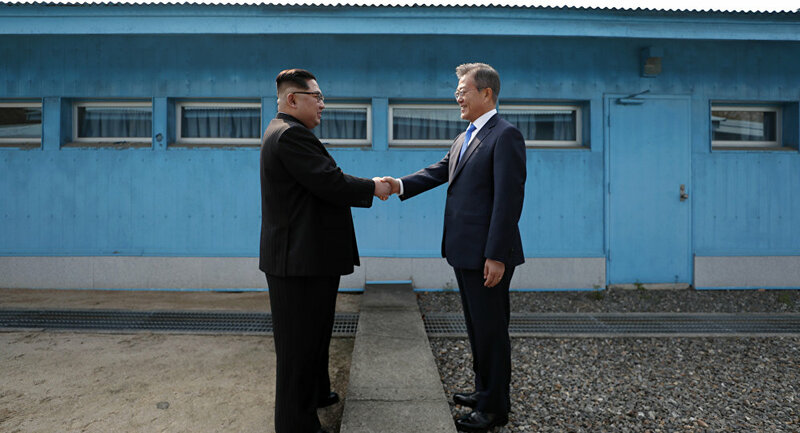 The two Koreas agreed to halt all hostile acts against each other and work toward a complete denuclearization of the Korean Peninsula.